What kind of a place is Kasaoka? in the Southwest Part of Okayama Prefecture. 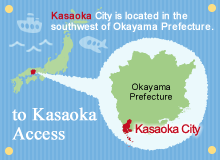 About 50 km to the southwest of Okayama City, Kasaoka City is a port town facing the Seto Inland Sea. One of its appeals is that it is so easy to travel around. It is also within easy reach of Kurashiki City in Okayama Prefecture with its whitewashed walls and Onomichi City in Hiroshima Prefecture known for its hills and as a location for many movies. Off the Mainland are the Collection of Kasaoka Islands. Situated in the Seto Inland Sea, the Kasaoka Islands are composed of 7 richly-individual islands. Prominent among them are Manabe-shima Island famous for its cats and Shiraishi-jima Island legendary for its ancient Obon Festival Dances, officially designated as an Important Intangible Folk Cultural Asset. Hopping around the wonderful islands is a very popular part of tourism in Kasaoka. The Horseshoe Crab is the city’s symbol. Referred to as living fossils, horseshoe crabs thrive in Kasaoka. The city boasts the world’s only Horseshoe Crab Museum, which conducts research into the crab, in addition to displaying exhibits related to it. On sale is confectionery in the shape of the crab’s helmet head, making the town's mascot character, a horseshoe crab. Indeed, the horseshoe crab has become the symbol of the city. 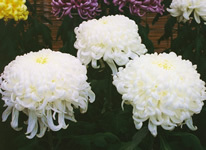 Famous for having Okayama Prefecture’s most prominent flower garden. Enjoyed through the four seasons, the beautiful flower gardens and flower beds are one of the most alluring attractions of Kasaoka. The flowers in the different seasons bring color to the mountains and islands. The city is particularly proud of the powerful scale of the flower gardens on the reclaimed land. Canola blossoms, sunflowers, cosmoses and many others can be viewed free of charge, enticing flocks of sightseers to the area for days at a time when they are in bloom. Culture... History...so many places to see. There are many spots of cultural and historical significance dotting the area. The city is proud to be the hometown of Ono Chikkyo, a famous artist who created “nihonga,” Japanese style paintings, and the art gallery bears his name. Kasaoka is equally proud of the Two-Story Pagoda at Henjo Temple, the oldest in the prefecture. Adjacent to the flower gardens is the Kasaoka Bay Farm Roadside Station, Kasaoka Sun Plaza, an expansive park full of nature, and many other spots perfect for families. 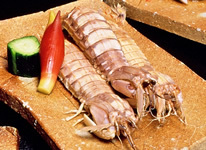 The fresh Seto Inland Sea delicacies, considered blessings from the reclaimed land, are one of the wonderful aspects of Kasaoka. “Soul food” that represents the area, Kasaoka Ramen Noodle is a unique specialty of the area. It features slices of chicken afloat on soup made of ground chicken bone. The city is filled with rows of ramen shops, each competing for the best taste. Kasaoka City is located in the southwest corner of Okayama Prefecture, adjacent on the west to Fukuyama City in Hiroshima Prefecture. It features a warm moderate climate with little rain. It has a history of “needing water and land," as there is very little flatland in its topography. For land, it depends mainly on reclaimed land. The expansive Kasaoka Bay Land Reclamation Project was completed in March 1990, and great expectations have been placed in it as a base for large-scale mechanized farming. There are no large rivers in the area. During the droughts in the summer, there is a chronic shortage of water, which must have been a source of severe hardship for the area’s ancestors. However, by laying water pipes from the Takahashi River that flows into Kurashiki City, Kasaoka has been able to supply water to all of its households (including those in the outlying islands). The name “Kasaoka” can be broken down into two parts “kasa” and “oka.” The emblem was created by using two characters from the katakana phonetic writing system and graphically combining them with a character from the Chinese kanji writing system. It symbolizes “an intersection and harmony of arcs." The separating double arcs hint at infinite development and progress, while the horizontal line represents the strong solidarity among them. The outskirts of the city today contain mostly ocean, but it is believed that originally the area land, created the accumulation of alluvial soil from the Sumida, Imadate, Yoshida and other rivers. Around 5th to 6th centuries during the Kofun Period, burial mounts (“kofun,” thus the name of period), were created, including the group of located in the mountains behind the Chofuku Temple, in Kitagawa and Niiyama. It was evident that these were under the rule of powerful clans. 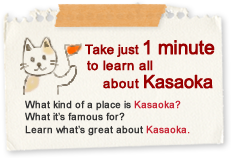 It is said that the name “Kasaoka” means to be under the influence of the Kasa-no-Omi family. The Kasa-no-Omi family is one of the Kibi family. After the Taika Reform of 645, systems for administrating regions and districts were introduced. The Kasaoka District was divided into several counties and villages. The Kamakura Period to the Muromachi Period was a time of great turmoil with the Genji-Heike Wars and the upheaval of the northern and southern dynasties. The Suyama family is well remembered for the power it wielded. The family first resided in Kanaura, but later moved to Kasaoka, and built the Kasaoka Mountain Castle. This was used as a base of operations to maintain and improve the urban areas, and it is said that this became the foundation for today’s Kasaoka. After the fall of the Suyama family, the country entered the “Warring States” period. The Mohri family invaded the Chugoku District of western Honshu, and around the middle of 16th century, Kasaoka came under the rule of the Murakami family, who were part of the Mohri family. The Murakami family conducted many naval activities with the navy it commanded, and also build the Kasaoka Castle in Kasaoka. The ruins of the castle can be found in today’s Kojozan Park. After the Battle of Sekigahara (1600), Kasaoka falls under the direct rule of the Tokugawa family. After that, in 1616 it becomes the territory of the Ikeda family of Bicchu Matsuyama and then that of the Mizuno family of Bingo Fukuyama in 1619. Then with the land reclamation work conducted in 1674, Tomioka Shinden was born and the area became independent in 1682. In 1698, land again return to the direct rule of the Tokugawa Shogunate. A couple of years later, in 1700, Kasaoka’s first magistrate’s office was established. Since then, for 170 years until the closing days of the Tokugawa Shogunate, it was administered by 42 magistrates. Notable among the magistrates were Ido Heizaemon, also known as the “Imo Magistrate,” and Hayakawa Hachirozaemon who established the Keigyokan School. In May 1868, Kasaoka became part of what was called Kurashiki Prefecture, but in November 1871, the prefecture was abolished. Fukatsu Prefecture was established, composed of a portion of Bingo and whole Bicchu, and Kasaoka fell under its jurisdiction. On June 7 the following year, Fukatsu Prefecture was reorganized as Oda Prefecture and the capital of the new prefecture was located in Kasaoka. On December 10, 1875, Oda Prefecture was merged into Okayama Prefecture. At that time, Kasaoka was divided into 39 villages. These were consolidated into 13 villages in 1889. On June 1 of the same year, it merged with Tomioka-mura with the implementation of the municipal system. Then on October 23, 1891, the year the Sanyo Line was opened, town administration was established in Kasaoka. For the subsequent 60 years, Kasaoka developed as “Kasaoka town,” an important area for industry, transportation, and culture in the Bicchu District. 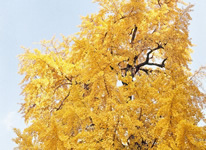 On April 1, 1951, Kasaoka-machi incorporated Imai-mura, merged with Kanaura-machi on April 1 the following year, and a municipal system was implemented. On October 1, 1953, 6 villages (Shiromi, Suyama, Ooi, Yoshida, Niiyama, and Konoshima) were incorporated into the area, as were Konoshima Sotoura, Shiraishi-jima-mura, Kitagi-shima-machi, Manabe-shima-mura, and Oshima-mura (excluding the Shibaki District) on April 1, 1955. The same occurred with Kitagawa-mura on April 1, 1960. The same occurred with Kitagawa-mura on April 1, 1960. This created a city with a population of 73,232 made up of 16,604 households spread over 117.9 square kilometers.